I noticed the covers of the album have never been posted here, so I'm posting them! Selfish lyrics have been translated by [email protected]! Mm I think these are good sales for 1st week! I just hope she keep selling in the next weeks. Acchan has 2 more Cm's for Lipovitan Fine! Hi and welcome here!!! It's nice to see new people in this thread ;___; I'm a fan of Acchan since 2010 and she's the only AKB member who I really love and support as kami-oshi (though I still like AKB now LOL). I guess you're talking about the drama Kasuka na Kanojo? I like Acchan's role there, Kawai sensei is so cute and the drama is good! I'm happy that Acchan was able to sort of get rid of the idol image and establish herself as a solo artist. I still think her main interest is in acting, right? I was sort of surprised that she had a album coming out. However the video is great and so is the song! Yes Acchan's main interest is acting! She has new movies/dramas very often. Maybe you watched some of them? She's doing well as actress! I love her both as actress and singer so I'm glad she released a new album, I love the song! 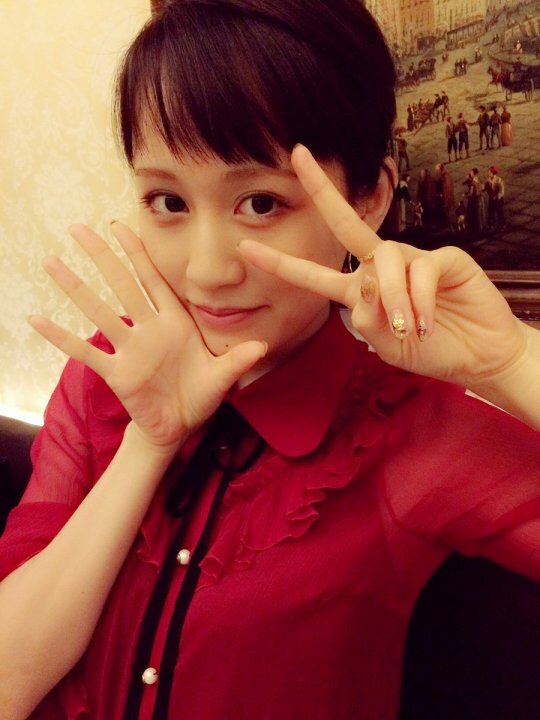 Some days ago, on 10 July, it was Acchan's birthday! She turned 25! HAPPY BIRTHDAY!!! She posted a video on her IG, she celebrated her birthday with Shinobu, Sasshi, Miichan, Mariko! Great news! I actually searched for subs of this drama back in April/May but there was no results. However, I searched again now and it looks like the drama got subbed in english, all episodes! I'm glad :D I will watch it soon! Some updates from the past months! 160525 Acchan promotion for Busujima drama + hand reading. and she looks sooo good, I'm loving this mature styling for her! 160614 Acchan promotes Selfish and her album! She looks so cute here! If you didn't watch Selfish Full Pv yet, here is a link to watch it in HD, on Dailymotion! There have been 4 more weeks since then so the number is probably higher! Oh, I didn't know there's an Acchan thread! I really liked her newest single~ And she makes the short fringe looks so cute.